The Baleno facelift is some time away from a market debut, as Maruti Suzuki has just launched the all-new WagonR. The Baleno which is retailed via Nexa showrooms has been popular from day 1, and the facelift of this premium hatchback will add some more value to the car. 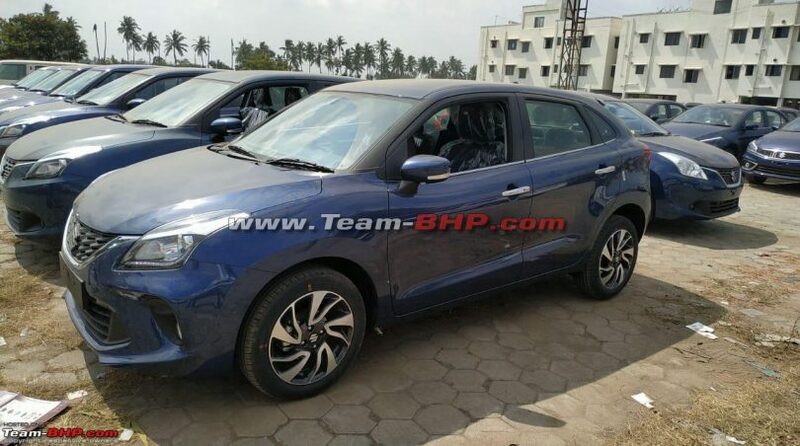 On the exterior, the 2019 Maruti Suzuki Baleno facelift will come with a new 3D front grille, new front bumper design, refreshed rear LED tail lamp. The headlamps will now be LED projector units. Alloy wheels are not a better design with diamond cut treatment. On the inside, the 2019 version will come with black and blue interior upholstery. Additional creature comforts in the new Baleno will include power & tilt steering, adjustable head rest on the front seats, HVAC, auto headlamp, reverse camera and the standard kit. The Smartplay infotainment screen has also been reworked. The new key for the Baleno however feels cheaper compared to the current model. For safety, the Baleno will come with reverse parking camera, speed alert system, driver and passenger airbags, seat belt reminder, immobilizer, Nexa safety shield and a high mount stop lamp. The Baleno will continue with the same 1.2L petrol and 1.3L diesel engine options. There will be a petrol automatic (CVT) option as usual. The Baleno rivals the likes of Hyundai Elite i20 & Honda Jazz; and has a sales number lead by a huge margin.